Sega may have forgotten that it needs to own the rights to videogames it wants to re-release. Back in summer, Sega held a poll to determine which of its classic Genesis games would be released on Xbox Live Arcade next, with ToeJam & Earl coming out as the victor. Even though the official poll page states that ToeJam & Earl will be released on XBLA soon, there appear to be some rights ownership hurdles in the way. 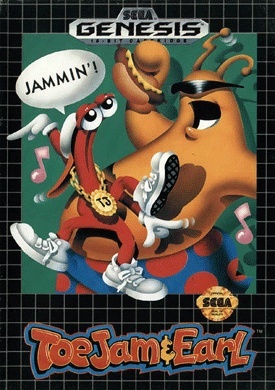 According to ToeJam & Earl creator Greg Johnson, Sega doesn't currently own the rights needed to release the game. Johnson told Joystiq: "[Sega] sort of got ahead of themselves a little bit and didn't realize that they don't have the rights to the property. It's an easy mistake to make - with every game contract being different, and new versions of contracts for releases always superseding old contracts, and rights' expiration dates, etc." Sega wanted to get the rights to the funky duo some eight months ago, primarily to use them in Sonic & Sega All Stars Racing, but offered Johnson "very little money, and they wanted to tie up the rights to the characters across all platforms for an extended period." Johnson is evidently waiting for Sega to get back to him with a better offer, saying "the ball is in their court." This may be disappointing news to ToeJam & Earl fans that were expecting to see the game released on XBLA possibly even by the end of 2009. Johnson, currently running HumaNature Studios, also revealed to Joystiq that he shopped around a ToeJam & Earl multiplayer DS game but didn't receive any interest. I'm not an expert on rights and trademarks and such, but couldn't Johnson try releasing ToeJam & Earl on XBLA or other platforms himself? If the blinged out alien creations won Sega's poll, it could be worth the investment and time.